Our client Milford Instruments are makers and sellers of all manner of weird and wonderful stuff. If you want to construct a robot or in your design require electronic components and modules - they will likely be able to help you with all the bits you need and lots more. 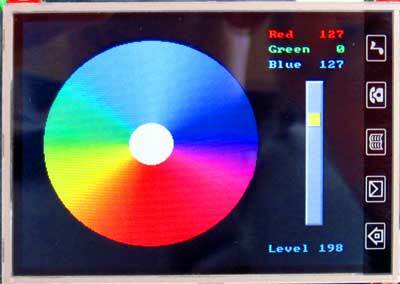 One of their latest products is a DMX512 colour wheeel. What is it for? In our web design work we often refer to colour wheels and Milford has just put up a video on YouTube demonstrating their colour wheel gadget the DMX512 for lighting control and no matter what your use of lighting is have a look at it here or better still visit the website for Milford Instruments where there is a link to the demo on the home page. Milford Instrument are very clever people and those of you with geekie or techie skills will absolutely love the DMX512 colour wheel system. We do not profess to understand many of the wondrous gadgets that Milford sell but as web designers we see many different businesses and many different products and along the way have picked up all sorts of interesting and sometimes strange knowledge. If you want us to design and build you a web site that reflects your business style and enhances your companies products be it as a catalogue, a brochure or full e-commerce site we are happy to make your business our business and help you make it more succesful along the way.